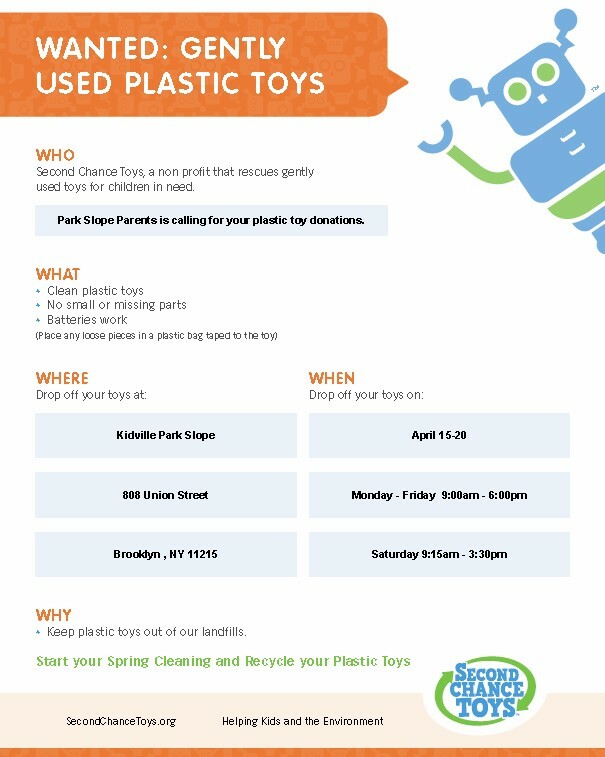 Earth Day is April 22nd and we have a way to SAVE THE PLANET ONE TOY AT A TIME! Second Chance Toys rescues gently used toys for children in need. Over the past 15 years Park Slope Parents has supported drives for Toys for Tots , Hurricane Sandy Relief, LGBTQ teens in crisis, CHiPS food drives, Little Essentials baby/toddler clothing/gear drive and much more.